A Bulgarian delegation takes part in an international conference on development of the tourism infrastructure in the Black Sea region, which takes place in Russia on October 26-28. During the forum there will be a meeting of a Russian-Bulgarian work group on tourism. 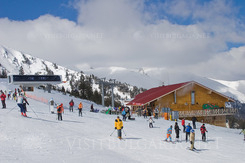 It will discuss the perspectives of tourism in Bulgaria and Russia and the results in the sphere this summer, as well as the preparation for the winter tourist season.